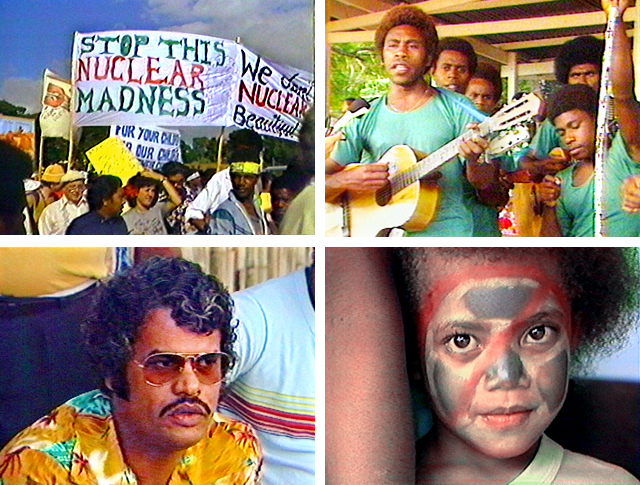 Recorded in 1983 during a ten-day gathering in Vanuatu, a newly independent island nation in the south Pacific that had recently declared itself a nuclear-free zone, this program takes a look at the Pacific-wide movement towards independence and de-nuclearization. Testimony is presented by Pacific islanders and Pacific Rim representatives who experience various aspects of the nuclear cycle, from uranium mining in Australia and Canada to nuclear testing in the Marshall Islands and Tahiti. Health, social, economic, military and political effects of the nuclear presence in the Pacific are the subject of the conference and the focus of a march through downtown Port Vila to the French consulate on Bastille Day. Music by the Huarere String Band.